I will be speaking this year at several workshops and conferences on the subject of “WordPress for Writers.” The workshop covers the basic elements of WordPress content structure and organization, then adds the complexities of a site for writers and authors. This is one of a series of articles on WordPress for Writers and Authors. WordPress is an ideal web publishing platform for almost every business, but especially for writers and authors. A website for everyone else is easy compared to some of the challenges associated with creating an author site. What makes an author site distinctive from general sites is that the author has an inventory that rarely resides in an ecommerce format. Sales of their books is typically handled by third-party agents like Amazon or book stores. The author also has a wider variety of ways to promote their work and themselves, which I call author site models. Let’s begin with the basic elements a WordPress site for writers must consider. Break that down for your own business and you may find commonality. We all need to promote our social and business events and activities, our products and services, and do it all while working full-time and staying interactive on the site and social media. The challenge for authors is a combination of myths, old thinking when it comes to the web, and the complexity of organizing a site around multiple products, services, and topics, some of which may or may not be related. There is already much fear around publishing, add the idea of publishing your writing on the web and the layers of fear increase. Every writing group I talk to I ask for an informal count of how many writers have unpublished work they’ve sat on. Most all of them raise their hands. Inquire further and you will find many realized that some books and writing should not see the light of day. They are part of the evolution of their craft. For many, however, you will find that the fear of having the book “out there” in the world, read by others, seen, open to question, doubt, ridicule, or whatever, is what stops most people from publishing. It also stops most people from hitting the publish button on their blogs. Or launching a website. Here are some of the fears and myths that writers often face when it comes to WordPress and the web. Author Darcy Pattison has a series called Writing Strategies of an Effective Author Website that I highly recommend. It includes step-by-step details in this month long series on how to develop website for writers and keep it maintained efficiently. Her satirical response is appropriate. We think that we just want to write and not do the work of getting readers, buyers of our books. It’s a part of the job description today. No matter what you may think, today’s author is one that doesn’t rely solely upon a publisher to do the marketing of the book. It is a part of the author’s job. Once the art has been made, an entirely new set of problems arise, problems that require the artist to engage the outside world. From the very first time you uttered the words, “I want to be a writer,” you heard “to be a good writer you must write every day.” Right? It takes practice to learn how to write, and write well. It takes self-analysis of your writing, reading, studying, critique and review, feedback, it takes work. The art of doing anything good, especially writing, is that you are to work at your craft constantly. Enter the blog. Publishing on your website is a great way to write everyday. And not just daily but in different ways, exploring your craft. You can write an interview one day, a marketing piece the next, a character sketch the next, and a world-evaluation of your book’s universe the next. You can journal, report, sell, or just engage your audience. You can show off all types of writing different from your novel like a short story in first, second, or third person, or retell a story from eight perspectives eight times. Your readers might enjoy that. 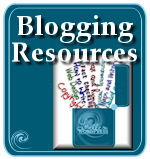 Blogging is a chance to practice your craft, explore the possibilities. It is a chance to work on your self-discipline. It is a chance to meet critics and get the feedback you need to improve your writing. It is a chance to explore a wide variety of topics and opens your mind to new ideas and styles. Blogging is about writing. Writing is your craft. Even if I could not earn a penny from my writing, I would earn my livelihood at something else and continue to write at night. When your need to write is more important than anything else, you are a writer. Blogging is writing. Write, and write well. Banging the publish button on WordPress is a great way to get past your fears about publishing, especially self-publishing. One of my favorite things to come out of the Oscars award ceremony televised recently was the words that Robert De Niro read when presenting an award to writers. The mind of a writer can be a truly terrifying thing: isolated, neurotic, caffeine-addled, crippled by procrastination and consumed by feelings of panic, self-loathing and soul-crushing inadequacy. And that’s on a good day. Welcome to the mind of writers. And bloggers. I write thousands of articles for the web every year. Not all of them see the light of day. Sometimes I, an experienced self-publisher and blogger, stare at the publish button on WordPress and debate if this is worthy to be seen by the world. It’s a constant struggle of self-doubt and fears. Still, even as the WordPress Publish button changes from blue to green over the various versions, the call to publish is profound and one I can’t resist, for better or worse, in sickness and in health. It’s a marriage, a relationship based upon the need to be heard. Whatever your fear of around the idea of publishing, blogging is a great way to confront it on a regular basis – and get over it. You Mean I Have to Learn Something? Guess what? Writing is about learning. It is a never-ending part of the job description. As authors and writers, we are on a constant quest of discovery. To write about a place, you have to learn about a place. To write about a person or a job, you have to learn about it. We all had to learn to use WordPerfect and Microsoft Word. For many professional writers, we had to learn how to use Scrivener and other professional writing tools to get our ideas out of our heads and onto virtual paper. We have to learn how to self-publish and market our books, do ebooks…and we are constantly learning how to write better. Choosing a career that involves writing means a life-time of learning. WordPress is a tool, no different from Word or Scrivener. It’s just a tool. Learn it and do not let it intimidate you. It’s just a tool. I heard this daily, especially from those in the business of writing. Harkening back to the excuse that writers just want to write, the idea of a blog that demands their attention, distracting from their serious writing, of comments and interactivity, community building, marketing, social media…the list is long…I think of 50 years to hundreds of years ago when writing was a full-time job. Not for professional writers, for those who wished to stay in contact with friends and family around the world. Back to a time when the mailbox was our only way to communicate across the lands. Every day the postman brought bundles of letters to Down House—letters in reaction to the book. There were five hundred a year, every year, after The Origin of Species was published. Charles answered all of them—even the ones from quacks. He had lifelong correspondents, he had fans, he had critics, he had people who wrote asking to meet him, to give him gifts, to take his photograph. He took each letter seriously and gave it the time he felt it needed. During his lifetime he had two thousand correspondents. He wrote at least seven thousand letters and received as many. And you thought email sucked. Two to four or more hours every day was spent on correspondence for many literate people around the world. The blog and social media today actually saves time we didn’t have before their arrival in our world. Instead of one-to-one communication, we have one-to-many. Blogging is a tool, a marketing tool and a craft tool. Blogging saves you the time you would have spent in the old days beating the pavement or bricks going from publisher to publisher, bookstore to bookstore, reader to reader…spending an inordinate amount of time selling not writing. 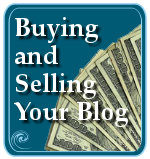 Blogging is your sales tool today. Blogging doesn’t waste time, it can save you time and get you spending more time on your real writing. While there is truth in that myth, when you publish on social media and ignore your website, you turn over control to others, and you may lose that control. Facebook replaced author sites, especially for interactivity. Authors should spend more time on social media channels than on their site. Authors must respect and bow down to Google and SEO. 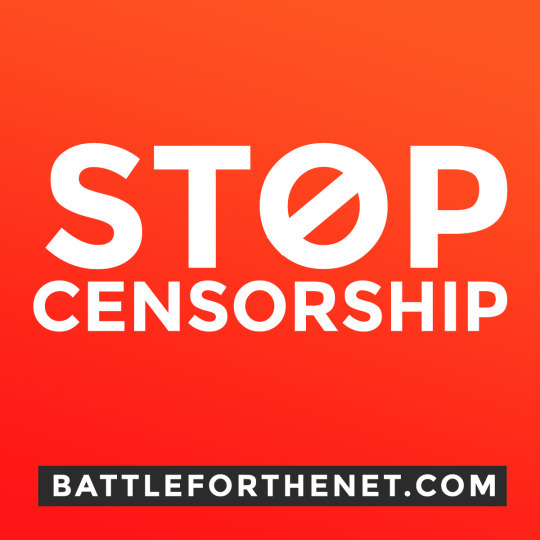 Control of the content (copyright/privacy) is paramount but comes second. Belief that author sites don’t make money for publishers, social web does. Author and publisher, Jane Friedman had this to say about turning over your marketing only to social media. I have a hard time endorsing a social-only approach when you, the author, are at the mercy of the social media tool for reaching your audience. You can never control what Facebook or any other site does—with its design, with its user interface, with your likes/followers, with its functionality, with its ad displays. And if and when it goes out of favor, you’ll have to rebuild somewhere else—whereas with a website, you only get stronger and better over time, assuming you don’t abandon it (and why would you, if you’re still writing and publishing?). This is part of being a capable author in the digital age, if you want to grow your career over the next 5, 10, or 20 years. Build on a platform that optimizes content for search, builds a site responsive to devices, and allows you to easily and quickly update. 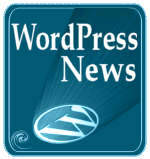 Recommendation from Brian Parsons: use WordPress. Update regularly and integrate with your social profiles. Note especially Google + connections, says Peter McCarthy. By claiming your blog via Google Plus, your image will appear in Google results next to posts, which results, on average, in 9x the click-throughs. Drive all visitors to sign-up for email newsletter. In Fassler’s opinion, if you can only do two things, make them Facebook and a newsletter. Based upon extensive research and experience, I don’t agree with the latter conclusion. Choosing the right social media platform is essential to serving your audience well. If your audience is on Facebook, go there. If your audience is on Reddit, go there. If your audience is on Ming, Twitter, LinkedIn, Pinterest, Tumblr, Instagram, Flickr, MySpace, Meetup, etc., go play there. With website automation easily found on publishing platforms like WordPress, why waste your time with newsletters. These are one of the most commonly started and stopped marketing techniques. Yes, they are effective, arriving in the fan’s email, reminding them of you and your work, and bringing them back to your site or social channels. Newsletters take time. They take energy. They take commitment. Time, energy, and commitment possibly better spent. By adding an email subscription form to your site for site notifications, when you publish a new post on your site, an email is sent out automatically. It can be formatted in many ways to alert the fan to new content on your site and invite them to come visit, include social media channels, events, announcements, etc. Why duplicate effort? Guton describes the process as “starting the process of author marketing [and book structure] before the cook is even complete.” Blogging helps you test the waters, consider the storyline and structure as you move towards the completed final book. I Have a Website. That’s Enough. The biggest mistake I’ve seen is building a website and not using it. People get excited, build the engine and then let it just sit there. You need to have a plan for your website — a monthly and yearly plan: what sort of content will you launch with? What will you add as time goes by? How frequently will you post new material? Enough to blog? If so, what will the voice of your blog be? What will be the first 10 things you write about? I tell authors to plan for their website the way they do for a new book: write an outline, like a book proposal, that includes not only the “big think” — the overall substance and point of view of the website — but also a list of all the different pages and what they’ll contain. Think of it as a business plan for your site. Or to put it in more literary terms, it’s like mapping out a long piece of nonfiction — for both the hardcover and the paperback edition. This is by Anik LaFarge, author of The Author Oline: A Short Guide to Building Your Website, Whether You Do it Yourself or You Work with Pros, in an interview on the Huffington Post for The Book Doctors. She goes on to explain that while publishers and authors think that Facebook and Twitter are game-changers, in terms of new book discovery, they are less influential than author websites. SEO is changing the game. People are finding their books through Google search more often today than a trip to a bookstore. there is a very strong argument to be made for building a website yourself. Writers care enormously about how they present their ideas and their presence on the page, and having control over their own “content” is extremely important. Understanding how your website or blog works — how to post new material, set up new sections, add photos and videos, link up with Facebook and other social media venues — means that you can always make changes and additions whenever you like; you’ll never be dependent on a webmaster or an overworked publicist again. For many authors a website is their beating heart in the public space. One thing that did annoy me no end was the fact that she doesn’t have a website. How can you be an e-book author and not have a website? Totally ridiculous if you ask me, or other e-book readers. To summarize the first part of this series on WordPress for Writers, here are some facts to consider. In a 2008 survey of 21,000 people on how they use author websites to buy books and track an author, and why authors should have websites, the following was found. Please remember this is old information, but representative of the general population across a wide demographic spectrum, and I believe the percentages are much higher today as we’ve become more web savvy. 33% want free stuff: Readers want sample chapters, unpublished material, maps, videos, downloadable stuff. They want more. 7.5% check author site before buying the book: They want to know about the book and the author, the stories behind it. They want to know more before they invest their $6.99 USD. 26% check author events and schedules: Author fans want to meet the author. They want to know about book tours, speaking gigs, any way they can get a chance to get to know the author better and see them in action. 33% want regular contact with the author as an author and person: Authors are today’s celebrities. They want to know more about you, your life, and your work. 36% want insider tips, background info, and behind the scenes material: Readers aren’t content with just the book. Wikipedia has spoiled them. They want to know more. Ree Drummond, famous as The Pioneer Woman blogger, is now a best-selling cookbook author and children’s author, and recently stars in a Food Network television show called The Pioneer Woman. In a Costco Connections magazine interview, she described the self-discovery that led to her fame as a cook and author. I didn’t start focusing on my blog until I’d been blogging about eight months. I started sharing things I was cooking and that part of my blog took off, partly because of the step-by-step photos I posted. I did that because that’s just the way I like to learn things. I’m very visual. Drummond took time to stand back and examine her site and site stats. Something she enjoyed doing, a process of learning that worked for her, worked for others. She put her energy in that direction and the world unfolded through her hard work, self-analysis, and dedication to a process and subject. Her passion for her subject matter and her ability as a photographer and highly visual person dictated the path. The truth today is that you are your own best agent and marketer, and publisher. If you aren’t building an audience around you and your book, publishers are often not interested, no matter what they may say publicly. They like working with authors who speak marketing and understand the importance of building a fan-base. Publishers today are looking for potential authors with a strong web-presence. The magic of WordPress as a tool is to consider what you put into it before you start developing a site. A well-designed and developed site is one built around well-designed and developed content. I call it content with intent, a strong mission statement and purpose that serves the site author and its readers. In part two, I’ll cover the WordPress-specific challenges associated with sites for writers and authors. 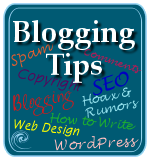 This entry was written by Lorelle VanFossen and posted on March 15, 2014 at 12:23 am and filed under Blogging, blogging tips, WordPress, WordPress News, WordPress Tips, Writing with tags author websites, authors, wordpress, wordpress for authors, wordpress for writers, WordPress News, WordPress Tips, writer websites, writers, Writing, writing for the web. Bookmark the permalink. Follow any comments here with the RSS feed for this post. Post a comment or leave a trackback: Trackback URL. I want to publish my poems. Tell me the best way it could be done. @Meenas: Just publish them. If you are using the visual editor, use SHIFT+ENTER to put a single line between lines (no line) and one ENTER key to create a space between stanzas. In the TEXT editor of WordPress, it’s one enter between lines and two between stanzas. Experiment and see what happens. I also recommend that you do not center everything. Left align is nice and center is hard to read. And hit publish when you are ready. Can’t think of anything else you might need to know to publish and share poetry online. Have fun with it. Thanks for these very interesting thoughts, Lorelle. I’ve added an article to my website every 7-10 days for about 10 years as I developed my book. As a result, the site has awesome Google SEO mojo – many, many searches for high-volume terms land my site on the first page of Google’s results. However, I have just 38 RSS and email subscribers, and effectively no comments. I expect this will change as the book comes out of “hiding in development” phase and goes mainstream. (So far, it’s been on Amazon CreateSpace; it will be “officially” published in late 2014.) As I send the book to authorities in my field and receive (I hope) weighty testimonials, I’m wondering how I can be less of a writer-hermit and more of a cheerleader and helper for those who agree with my stories, arguments, and research. I suspect there are many writers in this situation. I hope you’ll post your thoughts on how we can emerge from our caves and become helpers, inspirers, and friends. My book is The Joyful Athlete: The Wisdom of the Heart in Exercise & Sports Training. A book does not change your comments-to-content ratio. I learned a lot time ago there there is much more that goes into that secret sauce. The first thing is to leave room for the reader to comment. When you say everything there is to say on a subject, or write in a way that doesn’t open the content up to discussion, you gots no comments. It’s that simple – and that hard. Being famous, published, or gorgeous may not change anything. I like the idea of writing about “emerging from our caves.” LOL! I’ll give that some thought. Congrats on your book and the hard work it took to get there. Bet you have learned plenty of lessons along the way! Great article as always. I like having control of my content. It’s one of the reasons I switched to a paid service for my blog. I didn’t like the restrictions that WordPress had. Even though, they were mostly reasonable. One nice thing in social media I found a lot of authors/bloggers I’d never known of otherwise. I’m confused. WordPress.com is free, WordPress is free. You mean you didn’t like the restrictions of WordPress.com? Not sure which restrictions you are talking about as I’ve been here since the very beginning, and haven’t found any of their restrictions a problem. Sounds like you switched to a self-hosted site. Social media is amazingly helpful for discovering you aren’t alone, and the only one in your circumstance. Love that. Isn’t it amazing to be living in a time where there is more literacy than every in history! Love it. Thanks. Yes, I switched to a self hosted site. The restrictions on what addons and such you can add. They restrict because of the wordpress hosted site could be effected if someone install substandard. Which, why it is reasonable, but I wanted more control over what I added to my site. Sorry for not being clear there. No problem. WordPress.com’s restrictions aren’t about installing anything substandard. Not sure I understand that. I just want to be clear that WordPress.com does not restrict content (except where required by law, and sometimes not even then), nor is restricted in any way beyond their terms of service agreement, a pretty open and transparent document, which does include the inability to install Themes or Plugins, but there are plenty of Themes and Plugins in use on WordPress.com and rarely are additional ones needed for most sites. Millions of companies, professionals, and individuals use WordPress.com without any problems. You can do anything you want with your own self-hosted version of WordPress, including installing a wide range of Plugins and Themes. Great post. Just a couple of quibbles. Planning: While no one should ever argue against planning any project, one of the joys of blogging is that you can be spontaneous. Leaving aside blogs that exist to comment on the news of the day, writers always have options. If you write fiction that speaks to real-world issues that you’re passionate about, you can use a blog to comment on those real-world issues as they flare up. Newsletter: Funny that you should bring this up on the weekend I finally decided to launch a separate mailing list. For me, it’s about serving the reader. Some folks want to know everything when it happens. Others just want the highlights. While I haven’t actually started writing the newsletter, I don’t think I’ll mind writing a little extra copy to remind people when big stuff happens on my site (redesign, new categories), or my life (new books). Looking forward to the rest of the series. 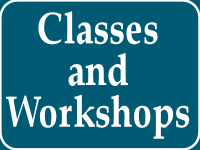 I suspect several of us would not mind seeing your workshop syllabus, if you want to share. Planning is about the design and structure of the site. What you put into it is your job. 😀 Plan or don’t plan, but I have to say that having an editorial calendar and setting self-assignments is a brilliant way to push the writer further along in their craft, don’t you? Writing is a job not just something left to a muse. Everyone has a book in them, it’s the ones that set the deadlines and pushes themselves into the craft that turn the thought into a books, or articles, or whatever your writing style and technique is for you. Newsletters are brilliant if you have the time, money, and energy to dedicate to them, and they serve a specific audience. They are not for everyone, and they are VERY hard work and time consuming. Why bother when you can put all that energy into your site and let the email subscription notification service (Widget – free!) do the work for you. If you are on book and speaking tours, mailing lists and newsletters are great as they can be used to target specific areas, but really, to do it right is a lot of work. Don’t believe all the marketing folks that swear by them. They really don’t have a very high return on their time and energy unless you have something specific to market in them. I don’t have a syllabus for workshops, lol! Academically speaking. But do stay tuned. I’ll have more on this series as there is much to cover on the topic. Any specifics you’d like to see covered? Thanks! This is off topic, but I thought you’d like to know. I get some of your stuff in my inbox. It looks as though you have gotten a lot of spam comments on some of your articles. Actually a lot of them. Thank you for your concern. I’ve been traveling and not keeping up with the spam comments for the last week. I get dozens of comment spam that get past Akismet (before it learns) every day. Sorry that I didn’t get to clean them up properly before your arrival. Akismet catches thousands of comment spam every single day for me. Thank goodness as I could never keep up with it all. So wonderful I don’t have to suffer it. Thanks. 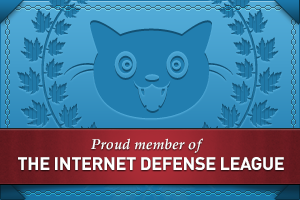 And thank you for subscribing to the site. It is much appreciated. Thank you so much for sharing this info! This is very helpful. 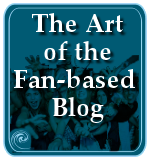 I am very happy to have found your blog, it is a great resource for writers. Thank you! I have a question related to the making of an author website. I feel I have to give you a short intro about my writing life. I have been blogging since 2015 but with no marketing plan. I just used to write what I felt, thus I do not have a followers list. Last year I self-published my first collection of poems, which was eventually removed from the web stores because the platform (Pronoun) shut down. Right now I am working on the second edition of the book with an editor. Since last year I have been writing a non-fiction book (a memoir), which will be ready for self-publication not earlier than next year. I am constantly writing poems and have also other non-fiction projects in store. I feel a bit overwhelmed by all the amount of information related to the marketing-branding of an author. I gave up my career in journalism many years ago because I wanted to write what I wanted, so even though I know we live in 2017 and using my vintage typewriter all the time is not ideal, I want to try to stay as much as faithful to myself as possible. We are writers to write what we want, after all. My question is: do you think my author section/page/website (where I also plan to sell my books) should be separate than my blog? My audience will likely be the same who might be interested in my blog posts, but some people believe that keeping the two things separate can be better, and in my case where I just put my real stories out there, it might be especially true? Sorry for the length of this comment! Thanking you in advance if you have the time to come back to me. Congrats on the great writing work and success. I do not personally or professionally recommend separating anything. It splits your audience and consumers more if your time and ebwegy. Add a Page called Books and out a summary, cover photo, and purchase point links for each book and call it done. Add categories for Books, News, or Announcements to categorize posts promoting you either activities and get back to writing. It does. Thank you for saying yours!